As a teenager growing up in the Bronx, George A. Romero was arrested for hurling a flaming dummy off a roof while filming his 8mm epic The Man from the Meteor. Always a resourceful provocateur, Romero virtually invented the independent horror movement with his ultra-low-budget zombie film Night of the Living Dead (1968). 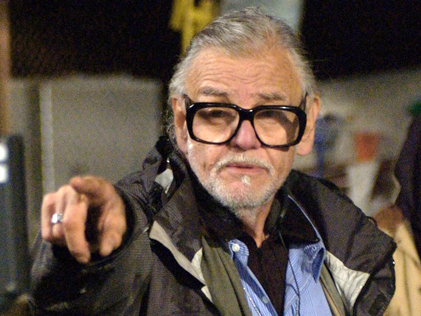 Having lived and worked in Pittsburgh since the 1960s, Romero is a true maverick, making funny, scary, thoughtful films outside of the Hollywood system. He spoke on the opening day of a Moving Image retrospective of his films.